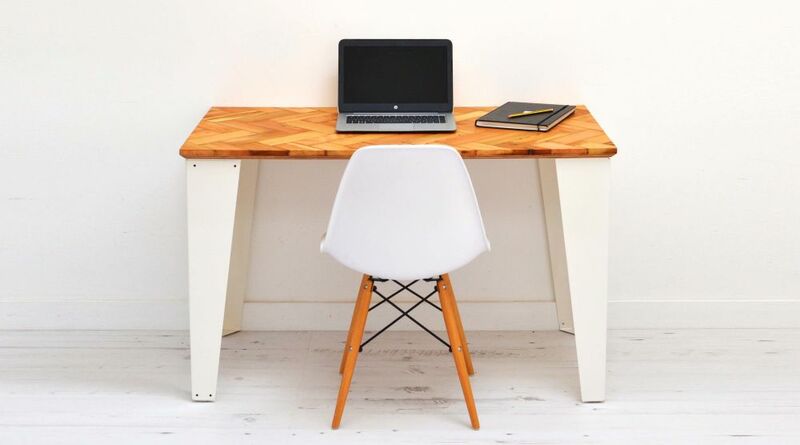 Contemporary reclaimed parquet desk sitting on contemporary gloss white steel legs. Made from reclaimed parquet flooring. The table top sits on beautifully contemporary folded steel legs.